EMG TV has uploaded footage of ALTITUDES & ATTITUDE, the project featuring ANTHRAX bassist Frank Bello and MEGADETH bassist David Ellefson, performing the song "Tell The World". Check out the clip below to hear Frank playing the EMG 81 and EMG 60 on guitar and Dave using the EMG 35DC and EMG 35CS on his bass. 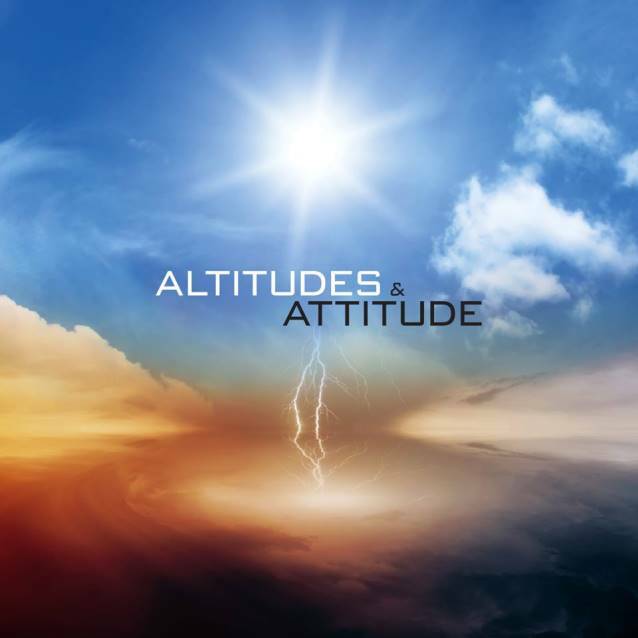 "Tell The World" is taken from ALTITUDES & ATTITUDE's self-titled EP, which was released on January 14. The two bassists began writing music together while traveling the world during clinics now known as "Metal Masters". "What started out as simple bass ideas quickly developed into some really great songs together," said Ellefson. "Our fans would probably never suspect that a couple of metal bass players would have songs like these inside of us. It's exciting to write melody with diversity while still pushing the limits of lead-bass playing. Frank's singing, and both of us playing guitars and other instruments, gave us a whole new dimension for creative opportunities." "We thought it would be cool to let fans hear something they wouldn't expect from us — which is what ALTITUDES & ATTITUDE is," added Bello. Regarding how ALTITUDES & ATTITUDE came together, Ellefson told Guitar World: "We were doing bass clinics for our endorsement of Hartke bass amplification a few years back when the 'Big Four' were playing shows together. I just said to Frank, 'We should really write some of our own material we can play for these clinics. Something unique just for us.' So last year at Bass Player Live! at the Key Club in Hollywood, Frank got us talking to ANTHRAX producer Jay Ruston, who is also a bass player, and he got excited to get on board to record some songs for us. We agreed to do just a few songs we could release in EP format. This would make the workload easier with all of our schedules and even allow us to continue releasing more songs moving forward as well. Jay brought in Jeff Friedl on drums and even suggested Gus G. to play the solos I wanted to have on the track 'Here Again'." Asked when they found the time to write the material for "Altitudes & Attitude", Ellefson said: "Frank had a few full songs sitting around that he wanted to release. His label, Megaforce, had already heard them and really liked them, so we knew we might have an outlet to release these tracks. I also thought we should have some material that was instrumental in nature for our clinics, which is why I brought in 'Here Again'. In fact, that song is specifically composed and recorded so we can use it as a clinic backing track to play bass solos over top of it, or we can perform it with the whole band including vocals." Special guest: Gus G. (FIREWIND, OZZY OSBOURNE) - lead guitar on "Here Again"